Bring hope to the Congo! Join The Congo Reform Association! It's FREE! 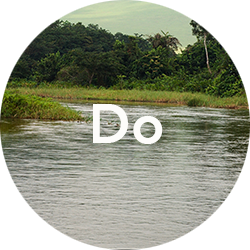 When you join The Congo Reform Association, you are uniting with people across the world who want to see peace in the Eastern Congo and self-sustainability in the entire Central African region. Your membership is free and will grant you priority access to all upcoming CRA content and opportunities. Next, Please fill out the form below and you will be contacted shortly. Please select how you would like to work with the Congo Reform Association. Yes, I will share, link, tweet, pin & post CRA videos and content. I'd like to host a Congo Reform Association Gathering at my home, work, school, university, or church. I'd like to help with fundraising and grantwriting. Don't miss out on receiving your FREE CRA updates... click here now!